Apparently some techies at AKQA were curious what kind of new sport could be created with Artificial Intelligence. Looks kinda like a combo of rugby, quidditch & soccer. The event has six-player teams competing on a field with three open-ended gates. 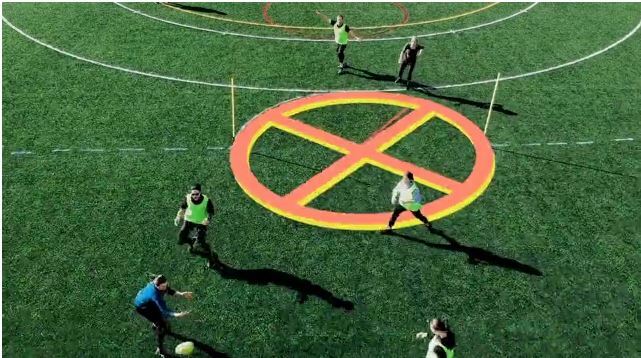 Once you’ve kicked the ball through a center gate (which you can’t step through), your team can score on one of the end gates — complete with an extra point if you ricochet the ball through the gate. You can’t stay still, either, as the ball has to move every three seconds. The game name and motto was also created by the AI.